PowerObjects, an HCL Technologies Company is proud to announce the promotion of Steve Kane to Vice President of Sales, North America. Kane formerly held the Director of Geo Sales position for four years. 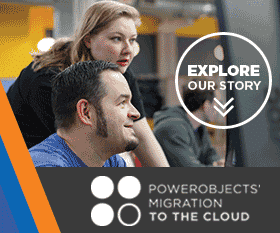 The role enables PowerObjects to offer regional focus and expertise on Microsoft business application offerings in North America while continuing to expand globally. Kane brings over 15 years of experience with Microsoft CRM and Dynamics 365 to his appointment to the PowerObjects leadership team. Kane’s appointment enables Steve Thompson to transition into the role of Vice President of North American Region for PowerObjects. Thompson will oversee overall sales and delivery strategies for the North America business. Thompson has led the PowerObjects sales team for over a decade as Vice President of Sales and has worked with Microsoft’s CRM solution since its earliest version. “Kane will be a key component in meeting our overall sales and business goals for North America in the upcoming year, and we are thrilled for the opportunity for PowerObjects to continue to grow,” says Thompson.